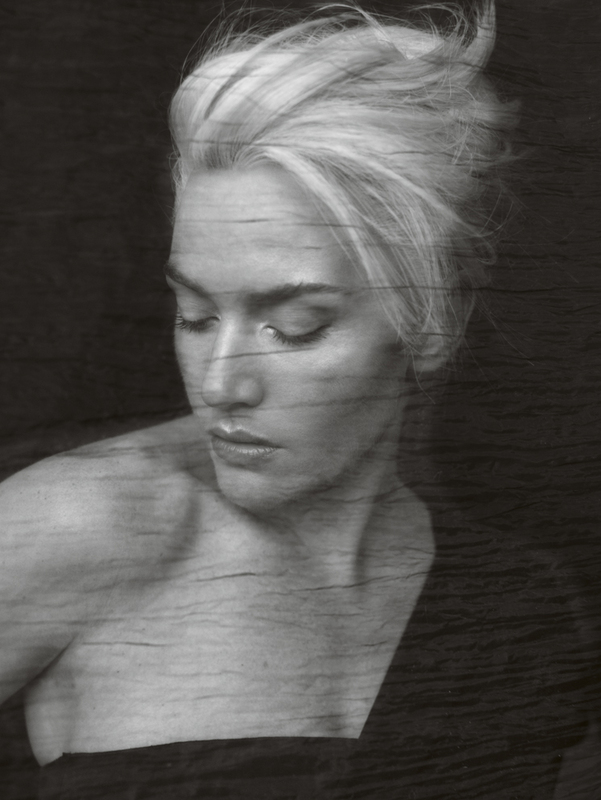 Photos from Kate Winslet's April Vogue UK shoot by Mario Testino have surfaced. Taking a minimal approach, the shoot shows a demure and soft side of Winslet being shot in solid black and white clothes. I particularly love love love this shot (right) at first I thought it was a painting photoshop effect but it looks to be sheer fabric to me, resembling a shoot done in Top Model cycle 13 with fabric.